WALNUT WOLF BOOK REVIEWS. : PAGE TO SCREEN: THE FAULT IN OUR STARS, MOVIE EXPERIENCE. PAGE TO SCREEN: THE FAULT IN OUR STARS, MOVIE EXPERIENCE. Would i say The Fault In Our Stars movie is an appropriate and satisfactory adaptation to John Greens masterpiece? That would be a positive. 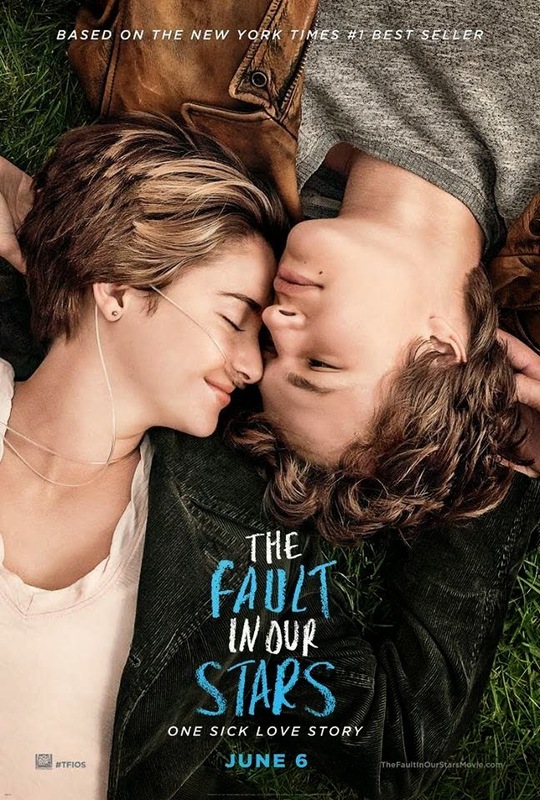 Going to see the Fault In Our Stars was an experience in it's self, from the movie and the actors that breathed life in to a well loved novel to the atmosphere within the audience. So i went to see this film with my sister and her boyfriend, and honestly i've never sat through a film where the audience were affected so visibly as a whole. The first half of the film everyone was positively giddy and if you were to only see the first half you actually could claim this to be a feel good film. People were laughing and the atmosphere was jovial the air full of excited whispers and giggles. Then as if a switch had been flipped the air got thick and the tension was rife and choking. Sadness literally clung to each person in the audience choking each one of us. I think that this is one of the most beautiful and heart wrenching stories i have ever read/ watched. Everyone from the actors, the screen writers, directors and prop managers (seriously the decorating was beautiful through out the locations and who ever was in charge of them, you are welcome to come decorate my house anytime!) did this film a justice, i think it was as close to perfection in terms of book adaptations i have ever seen, and honestly cannot think of another film that has done a book such justice as this. I am already a huge fan of Shailene Woodley and her performance as Hazel Grace Lancaster was astounding, i have no trouble putting book Hazel and film Hazel together, she created the girl i imagined and it was a wondrous performance. 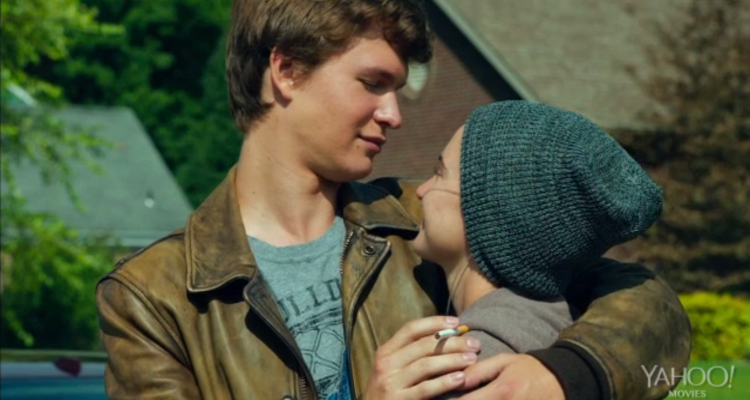 Ansel Elgort, what can i say about his performance as Augustus Waters? When i read the book i thought it would take someone exceptional to play Augstus, and Ansel managed to pull it off flawlessly. Augustus is my favorite character and i was anticipating his part in the film, worried that he wouldn't live up to my high expectations and my love for him, but he did, oh boy did he ever. Ansel play him perfectly, especially in the last half of the film. I applaud the pair of them for their stunning performances. It was funny, at the end of the film everyone in the screening didn't really know what to do with ourselves. Everyone was crying as the credits rolled and it was a mix between people fleeing the cinema (so they could probably go sob in private) to people like us who had to remain seated because someone in the group was having a break down (my sister). It was all rather a hysterical mess if i'm honest. Laughs and tears were shared between the three of us and when my sisters boyfriend pointed out 'Gus's leg double' that was kind of it for us, we were laughing she was laugh/crying and then we were the last ones left. I think it just showed me that this film really makes you feel, happiness and sadness, joy and heartbreak and sometimes you just have to take them both together and roll with it. Words cannot express what this film made me feel and i have nothing but praise for everyone involved. A phenomenal adaptation for a wondrous and breathtaking novel.